To meet today’s complex and ever-changing business demands, you need a solid foundation of compute, storage, networking, and software resources. This system must be simple to deploy, and be able to quickly and automatically adapt to changing conditions. You also need to be able to take advantage of broad expertise and proven guidelines in systems management, applications, hardware maintenance, and more. The IBM® PureFlex® System combines no-compromise system designs along with built-in expertise and integrates them into complete, optimized solutions. At the heart of PureFlex System is the IBM Flex System® Enterprise Chassis. This fully integrated infrastructure platform supports a mix of compute, storage, and networking resources to meet the demands of your applications. The solution is easily scalable with the addition of another chassis with the required nodes. With the IBM Flex System Manager®, multiple chassis can be monitored from a single panel. The 14 node, 10U chassis delivers high-speed performance complete with integrated servers, storage, and networking. This flexible chassis is simple to deploy now, and to scale to meet your needs in the future. 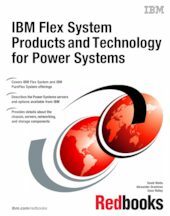 This IBM Redbooks® publication describes IBM PureFlex System and IBM Flex System available from IBM. It highlights the technology and features of the chassis, compute nodes, management features, and connectivity options. Guidance is provided about every major component, and about networking and storage connectivity. This book is intended for customers, IBM Business Partners, and IBM employees who want to know the details about the new family of products. It assumes that you have a basic understanding of blade server concepts and general IT knowledge.